Thank you for your interest in visiting the EVERLAM website. EVERLAM is responsible for the processing of your personal data. EVERLAM is a public limited liability company under Belgian law, whose registered office is established at Blokhuisstraat 47 J, 2800 Mechelen (Belgium). when you download (product) information from our website: your first name, last name, e-mail address, company name and job title (optional). when you subscribe to our company news and product updates: your e-mail address. when you fill in our online contact form: your first name, last name, e-mail address, phone number, company name, job function, industry segment and applications as well as any other comment. or, on another legal basis laid down by law: for example, on the basis of your request to take steps prior to entering a contract (e.g. when you download a brochure) or if processing is necessary for the fulfilment of a legal obligation to which EVERLAM is subject. In some cases, the processing of your data may also be necessary to realize a legitimate interest of EVERLAM, such as the interest of EVERLAM in informing its clients of its news and activities. If EVERLAM intends to further process your personal data for a purpose other than that for which it was collected, EVERLAM shall provide you prior to that further processing with information on that other purpose. Our affiliates : Everlam Inc., Everlam GmbH, Everlam S.à.r.l. In addition, EVERLAM may be obliged to disclose your personal data if this is required by law or a court order. 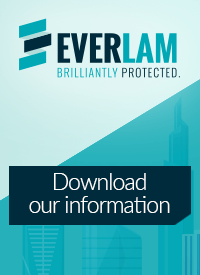 In this respect, EVERLAM is committed to ensuring an adequate and sufficient level of protection for your data, in particular by relying on an adequacy decision under article 45 GDPR for the country to which data are transferred (including certifications under the EU-US Privacy Shield), by concluding standard contractual clauses under article 46.2 GDPR, or by any other appropriate safeguards. If you have any questions about the transfer of your personal data outside the EEA or if you want to obtain a copy of the relevant documents, you can send a dated and signed request to Everlam (cf. contact details under question 11). Despite these measures, due care should be taken when storing and/or sharing your personal data and login, particularly when connecting via unsecured or public networks. EVERLAM will not process your personal data longer than is necessary for the purpose for which the data was collected, while taking into account legal and contractual obligations. You can send your request by e-mail to info@everlam.com or by mail to the address mentioned below. To protect your privacy and security, we will take reasonable steps to verify your identity before processing your request. In accordance with article 77 of the General Data Protection Regulation (GDPR), you have the right to lodge a complaint with the supervisory authority of your habitual residence, your place of work or the place of an alleged infringement of the GDPR. The Belgian Data Protection Authority is the supervisory authority for Belgium and can be contacted at contact@apd-gba.be. or by phone at +32 15 48 08 00.